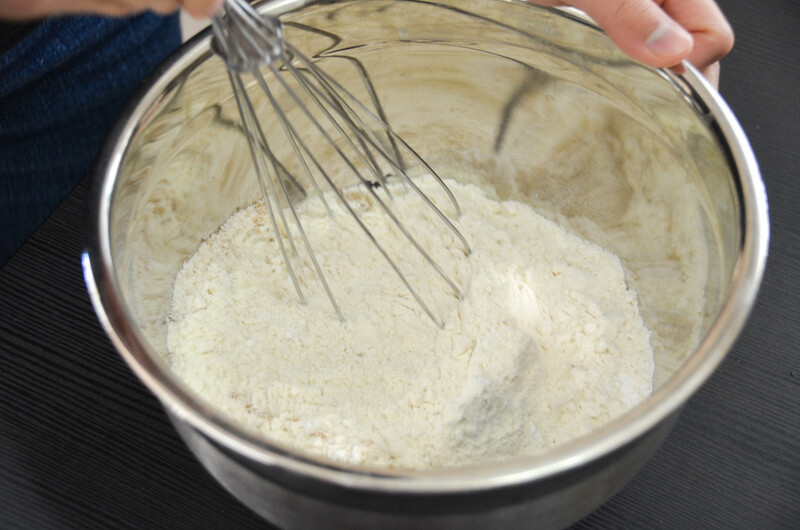 Combine the flour, salt, sugar and baking powder in a mixing bowl, and whisk. 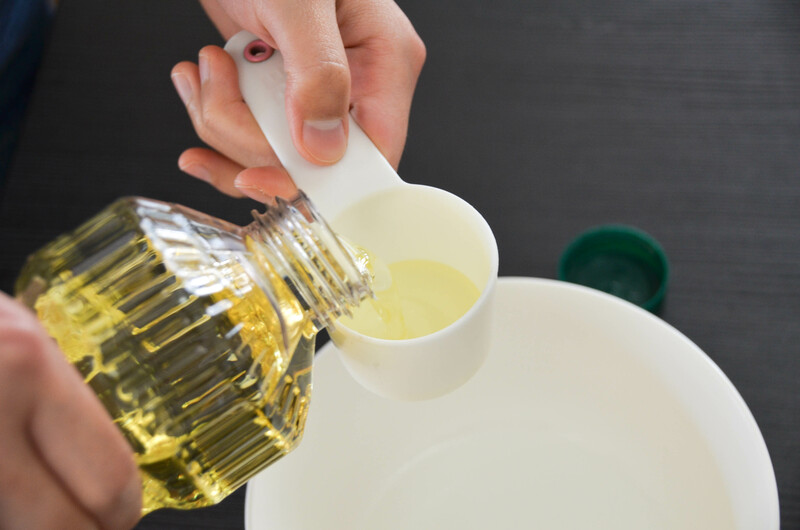 Add the oil and water to the dry ingredients. Mix with a fork until combined. 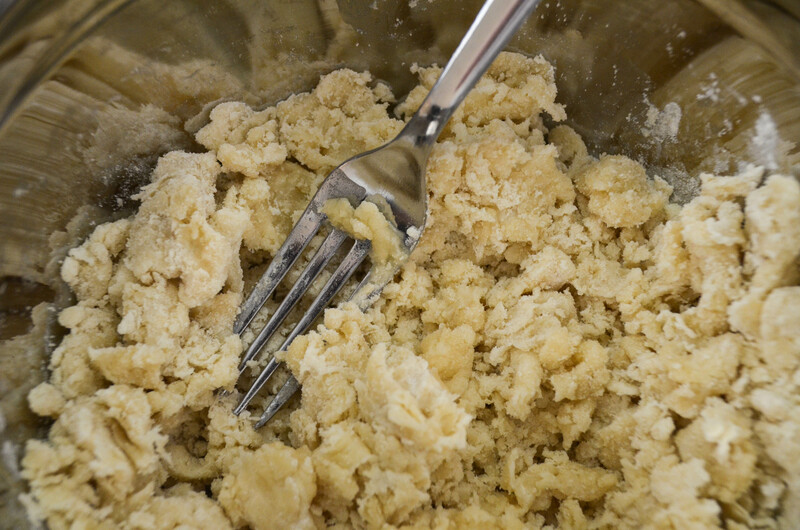 The dough will be very crumbly. 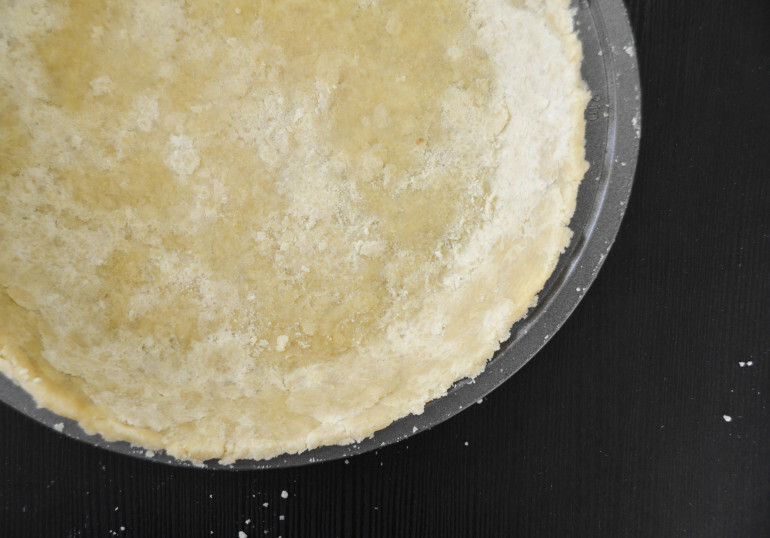 Pour the dough into a pie pan, and pat down flat around the entire pan. 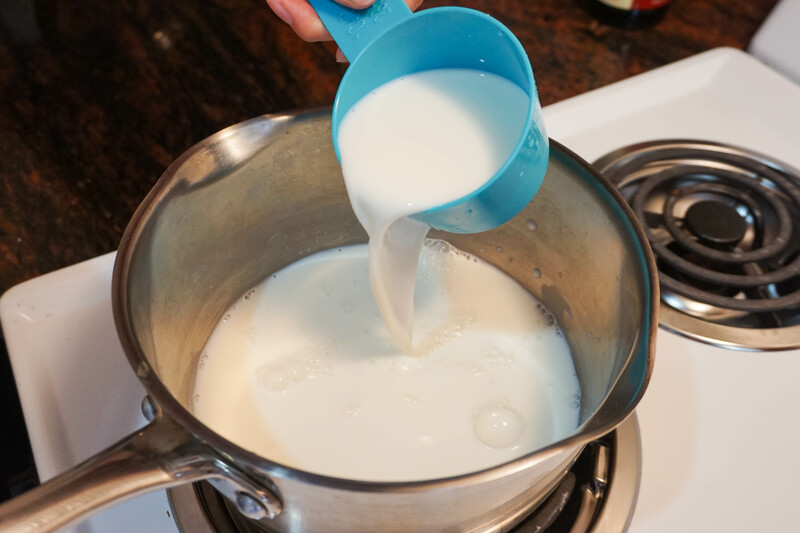 Spoon tip: Use a measuring cup to help flatten the bottom. 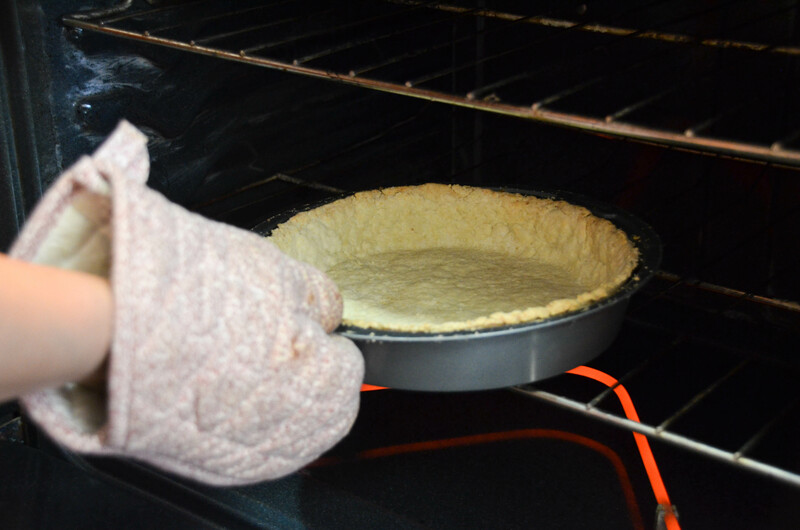 Blind bake the pie crust for 15 minutes. There is a proper way to do so, but popping this crust directly into the oven also works just fine. 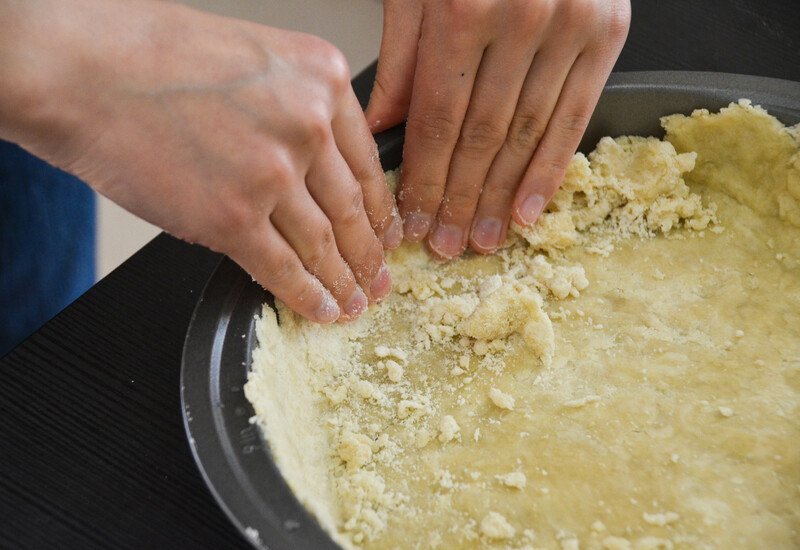 Be sure not to bake it for too long—the crust can become hard. 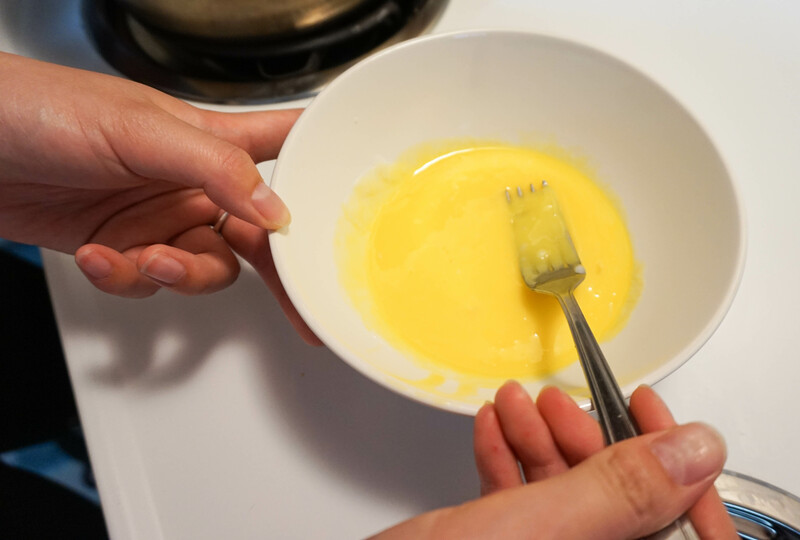 Take three eggs and separate the yolks into a bowl. Slightly beat the yolks, and set the bowl aside. 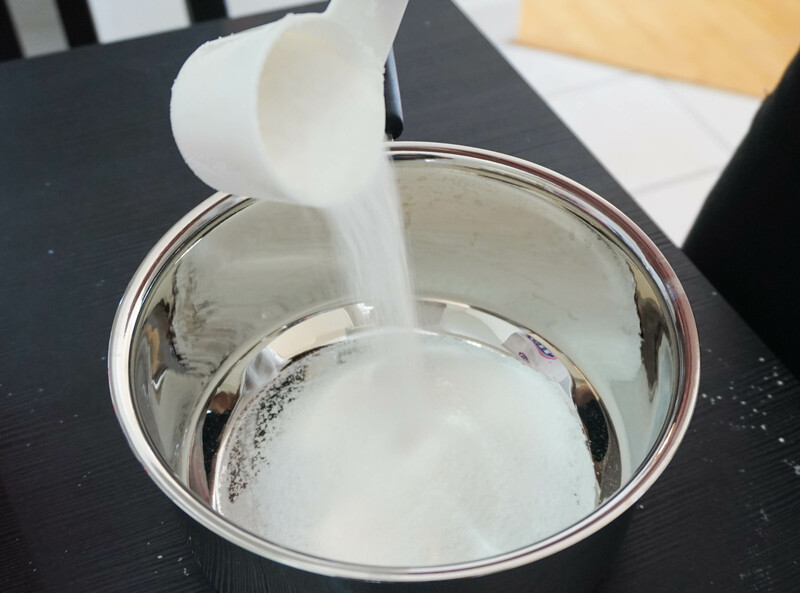 In a separate saucepan, combine sugar, flour and salt. Slowly stir in scalded milk. 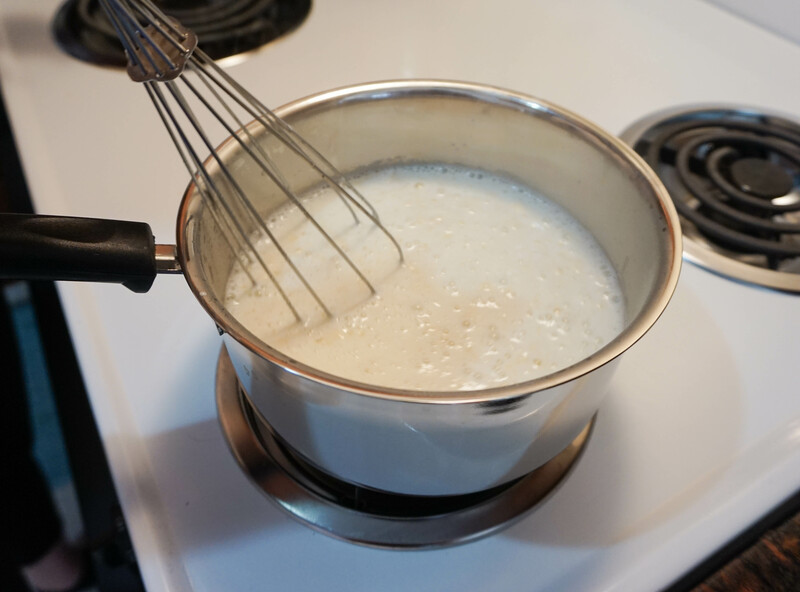 Stir over medium heat until the mixture is thickened. Cover the saucepan for two minutes and continue stirring occasionally. 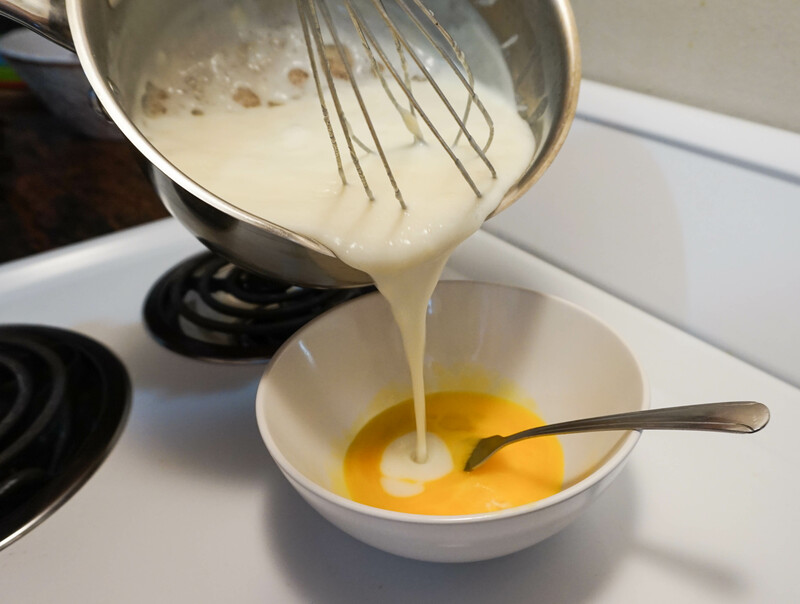 Pour about ½ cup of the hot liquid into the bowl of yolk and mix well. 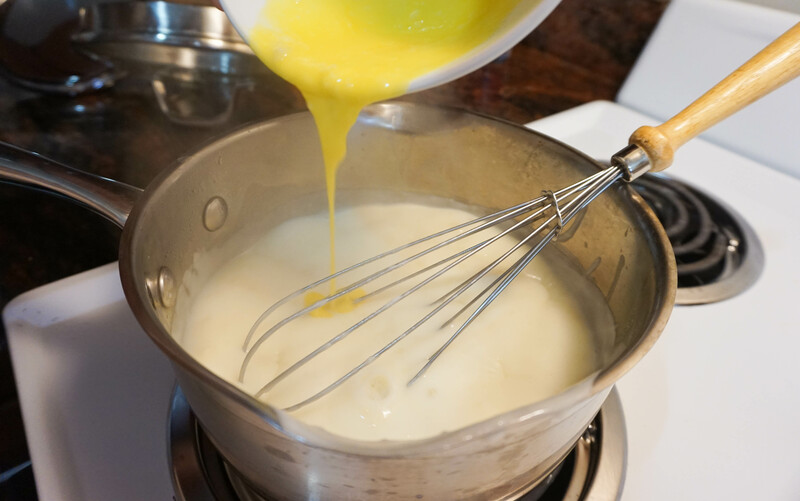 Add the yolk into the saucepan and cook for another minute. Be sure to stir constantly. 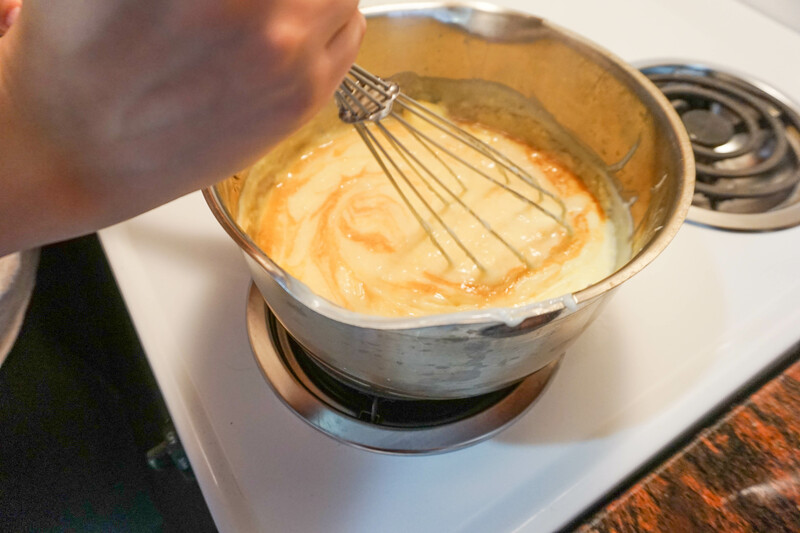 Take the saucepan off the heat, and stir in butter and vanilla extract. Let the mixture cool to room temperature. 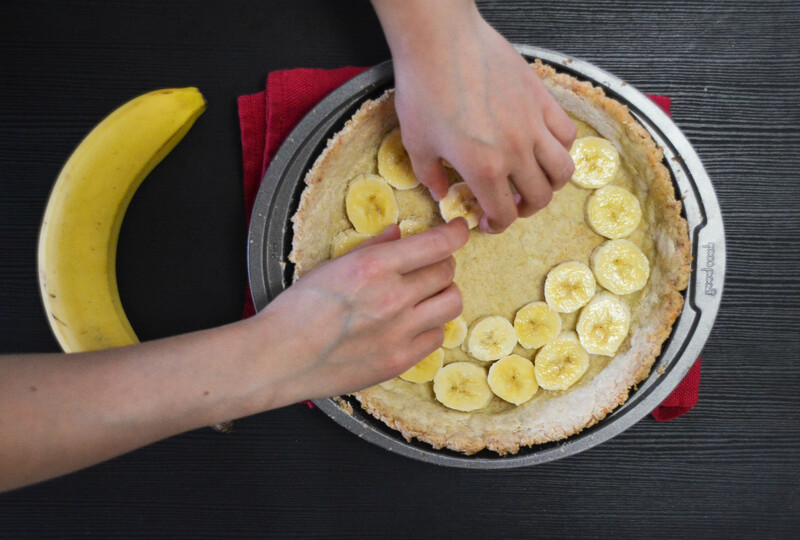 Slice the bananas and place them on the pie crust. If you have extra bananas, create a second layer. If you want more bananas, feel free to add another. 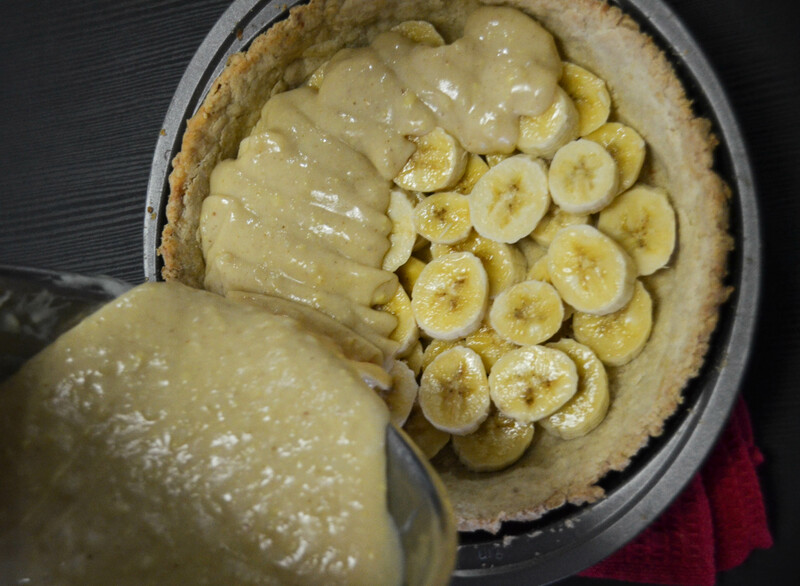 Pour liquid into pie shell over the banana slices. Refrigerate for at least an hour before serving. 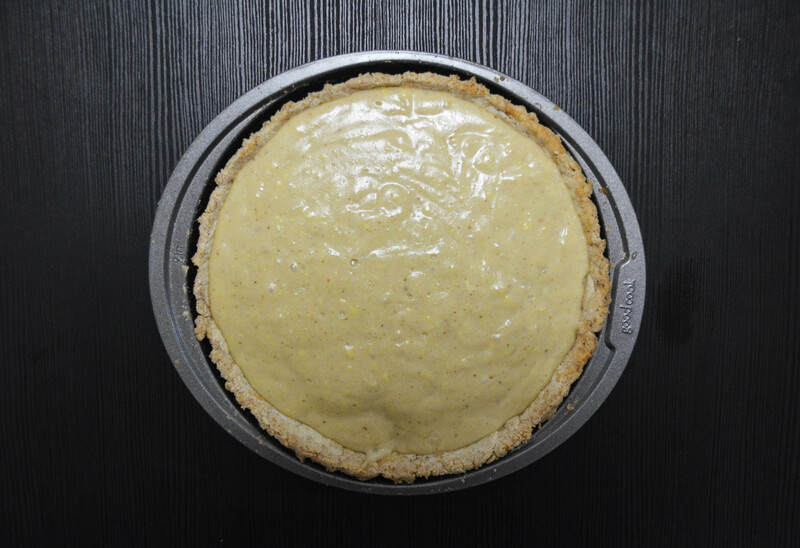 If you desire, you can make whipped cream or meringue from your unused egg whites while the pie cools. 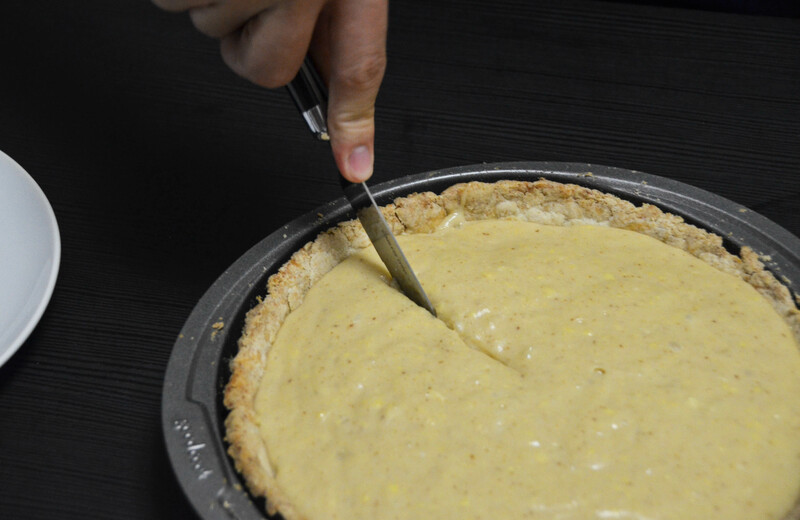 Take the pie out, cut, serve and enjoy!